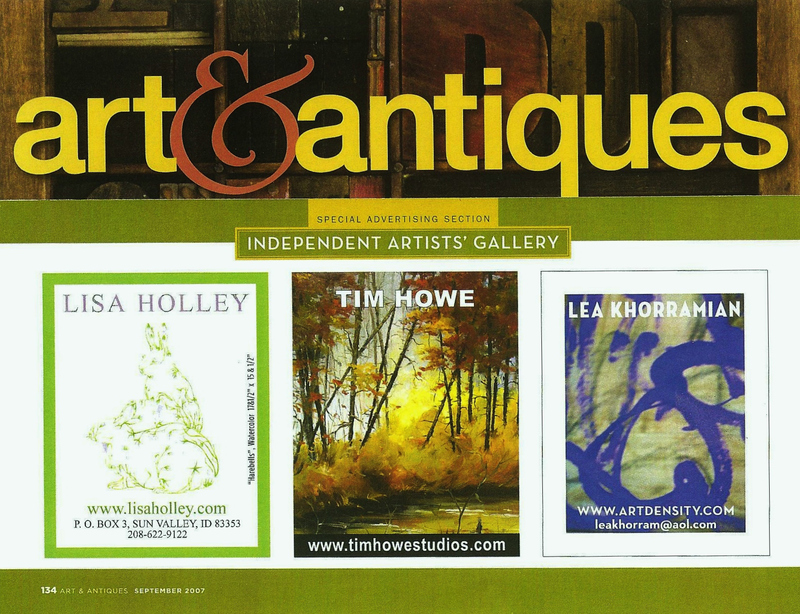 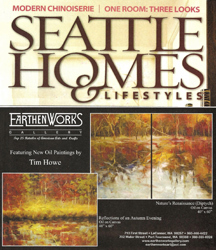 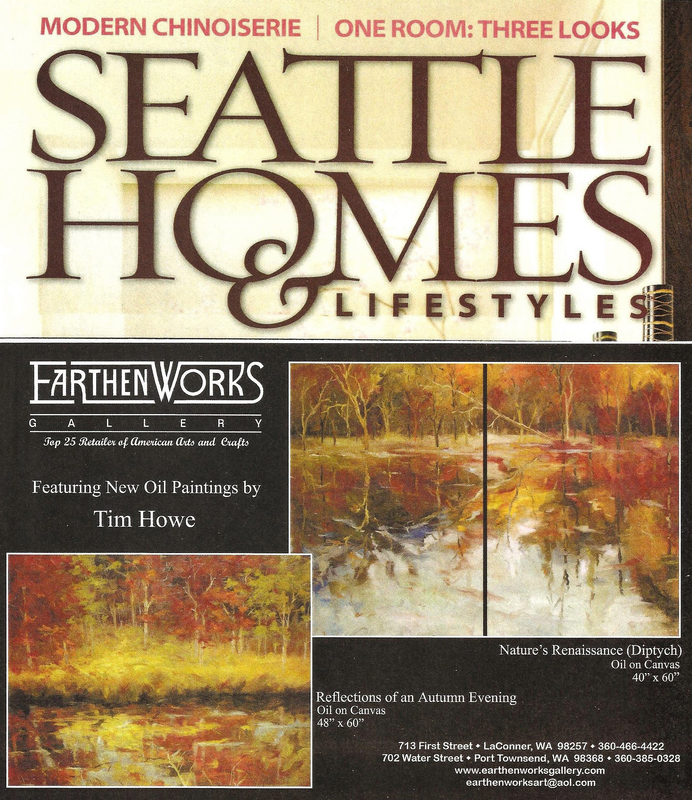 Tim Howe's work reflects his contemporary interpretation of landscapes showcasing his unique ability to incorporate the disciplines of both Abstration and Impressionism. 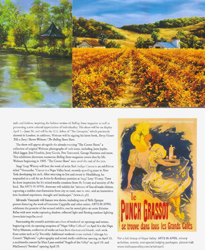 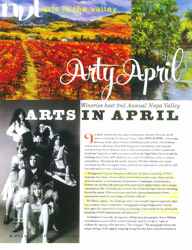 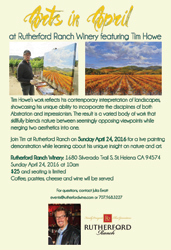 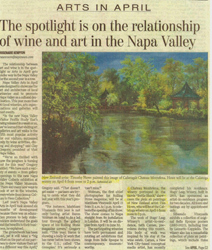 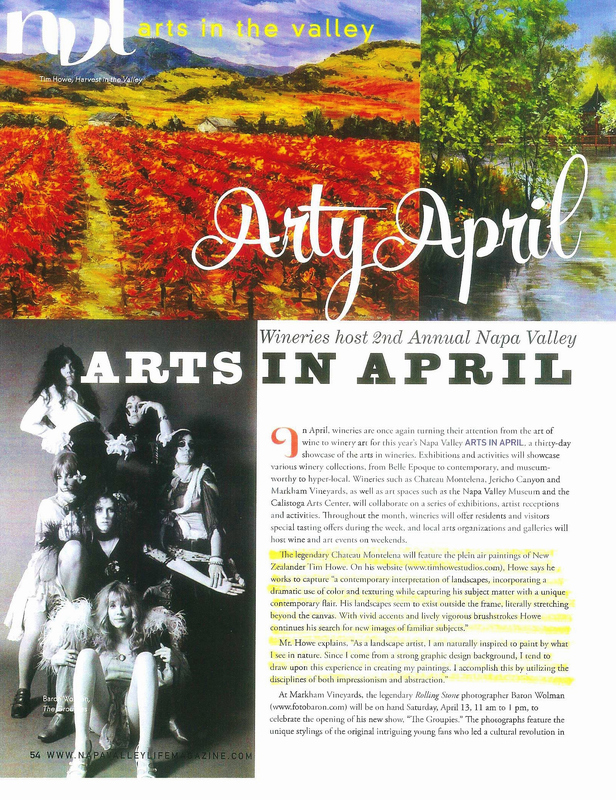 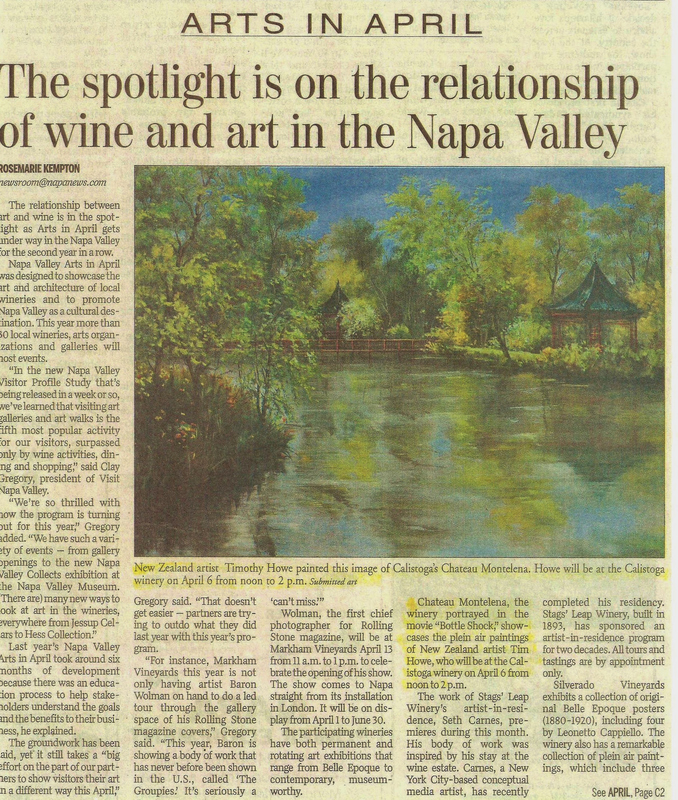 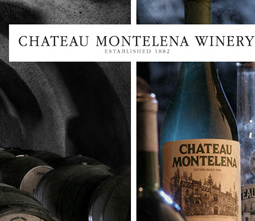 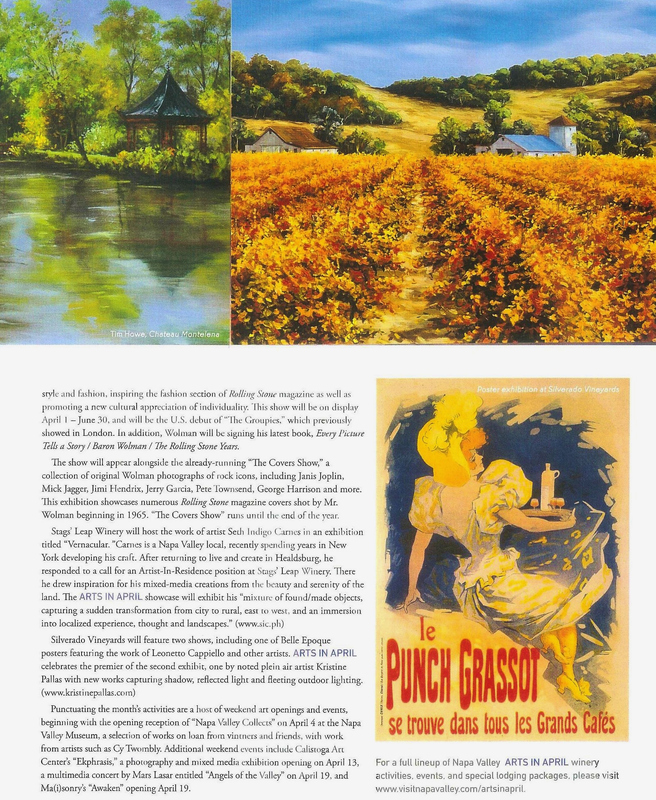 During Arts in April week, view Tim's artwork in our tasting room and enjoy a 2-for-1 wine tasting. 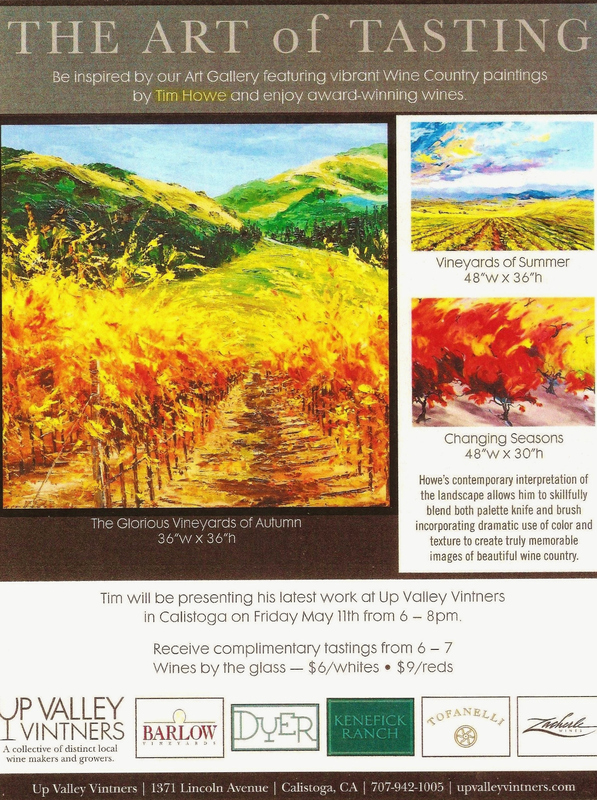 Tim will be at O'Brien Estate winery from 12 - 4 pm on Monday April 7, Wednesday April 9, and Friday April 11 with painting demonstrations and answering questions about his art. 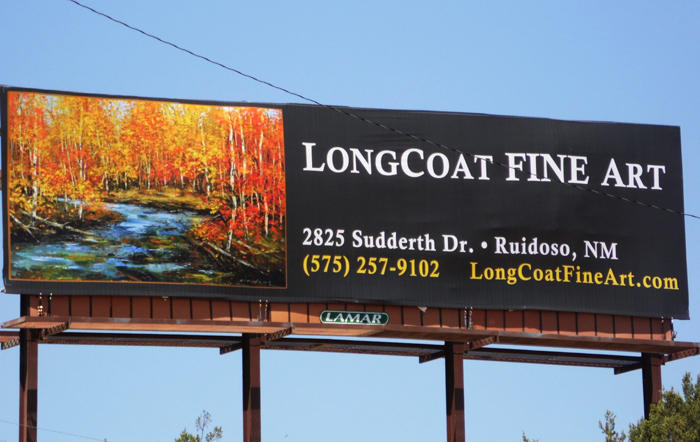 April 26 11:00 am - 3:00 pm Tim will be exhibiting his latest collection of paintings.